Let’s face it; supplying gift cards is probably one of the most business savvy ideas you can have for a customer. Not only is it basically guaranteed profit, you also gain brand loyalty, and customers that are more likely to continue to shop at your store—if not only because they already have a gift card. However, what many do not understand is how difficult setting up a gift card program can be—particularly without an external service helping them out. Fortunately, Total Merchant Services can provide you with one of the most affordable gift card programs online. There are many reasons that a gift card program is a good choice for you, and those reasons begin and end with money. By setting up a gift card program, you can bring in new customers who often end up spending more than what is on the gift card, netting you profit on top of profit. Plus, if the gift card is never used, you still collect the payment upon purchase. Gift card programs simplify managing store credits and can combat fraud by keeping your cash in your store. Loyalty cards are also a great way to boost sales. If you reward your customers for coming back and making purchases, your profits will rise – as will repeat business. You can offer free products, dollar discounts, or a percentage off future purchases with loyalty cards, all of which will entice customers to keep coming back. As for our specific services, we offer everything from standard gift cards to loyalty cards to custom gift cards that can include a business logo or any image of your choice. 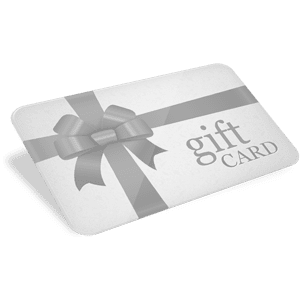 We also aid in processing said gift cards, so you don’t have to worry about adding yet another program to your store; it’s all automated—as is your free bookkeeping—and all offered at an exceedingly competitive price. Add in the fact that both our loyalty card and gift card programs work with our free credit card terminals included with your account, and it’s easy to see why so many choose our gift card programs when using Total Merchant Services. It’s quick, it’s easy, and it can make you money. Free Bookkeeping: As we’ve already mentioned, free bookkeeping is a major part of the services offered here at Total Merchant Services. With Quickbooks Pro and customer service representatives standing by at all times to help you with your free bookkeeping service, you can keep track of incoming and outgoing payments, understand trends within your profit structure, and even plan for the future. Best of all, because this is a FREE bookkeeping service, you don’t even have to pay a penny; it’s all included, and there to use at your discretion. Free Credit Card Terminals: Perfect for processing credit and debit cards, our credit card terminal services—free as well—give you the ability to accept and process credit card payments for your company—a must in this increasingly plastic based economy. Check Processing: If you want to electronically accept checks, our check processing services are an important potential part of your company. With it, you’ll be able to quickly and easily deposit funds from checks, all without having to make your daily bank run. It’s cheap, easy to do, and an integral part of any business model. By setting up a gift card program, you can bring in new customers who often ending up spending more than what’s on the card. And if the card is never used, you still collect the payment upon purchase. Gift cards also simplify managing store credits and can help combat fraud by keeping your cash in your store. Loyalty cards are also a great way to boost sales. If you reward your customers for coming back and making purchases, your pro ts will rise — as will repeat business. You can offer free products, dollar discounts, or a percentage off future purchases, all of which will entice customers to keep coming back. Total Merchant Services makes it easy and affordable to offer these valuable programs to your customers. With a payment solution for every situation, Total Merchant Services can truly set your business free. Contact Chris Judy of Total Merchant Services now at 1-800-518-6825 for more information about our services!